After serving two years on an aircraft carrier during the Vietnam War, I was assigned from the one of the largest ships in the U.S. Navy to one of the smallest; a 100-foot harbor tugboat. 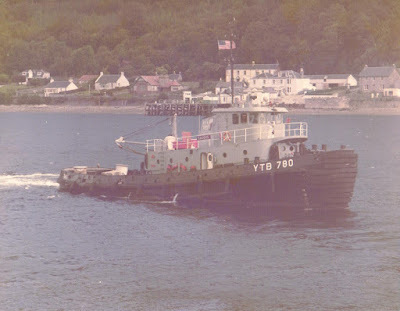 The USS Saugus (YTB-780) was stationed at the nuclear submarine base at Holy Loch, Scotland and we often were sent out to sea in God-awful conditions that included Gale-Force winds, huge waves and very, very cold water. During the two winters I served in Scotland, we often feared that we would sink and die in the freezing, turbulent sea, but thankfully the solid boat held together and the fine seamanship of our crew took us to our mission destination and then back to the base. The Philadelphia Inquirer offers a piece on the discovery. 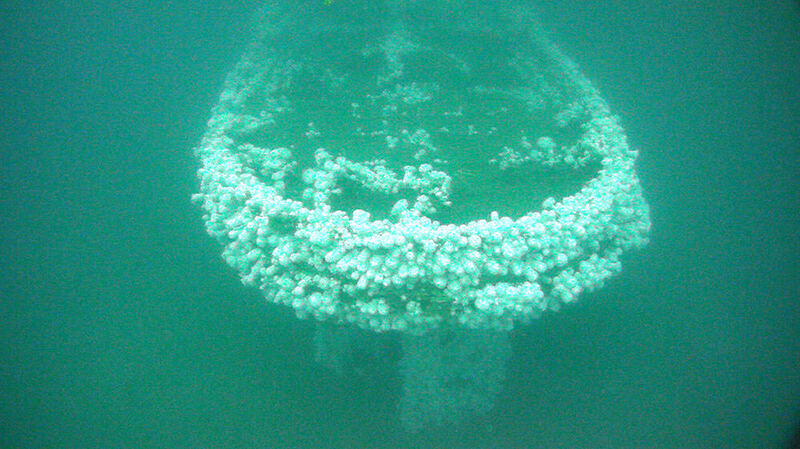 WASHINGTON (AP) - The discovery of a century-old shipwreck off the San Francisco coast has resolved one of the U.S. Navy's greatest maritime mysteries. And for Violet Pammer, it resolved the question of what happened to her Uncle Harvey. "I grew up with Uncle Harvey's picture hanging on the wall. We never knew what happened," said Pammer, a Northampton, Pennsylvania, resident and the great-niece of Harvey Reinbold, boatswain of the USS Conestoga. "It was supposed to be his last voyage." The Conestoga, a tugboat, had a crew of 56 when it departed the Golden Gate on March 25, 1921, on its way to Pearl Harbor and eventually American Samoa. When the Conestoga failed to arrive at Pearl Harbor as scheduled, the Navy launched what was the greatest search and rescue effort of the 20th century, surpassed only years later by the search for Amelia Earhart. There had been some thought that a garbled communication received near Hawaii might have come from the Conestoga, but nothing was found. There was little expectation that the newly refurbished Conestoga would sink so soon into her voyage. 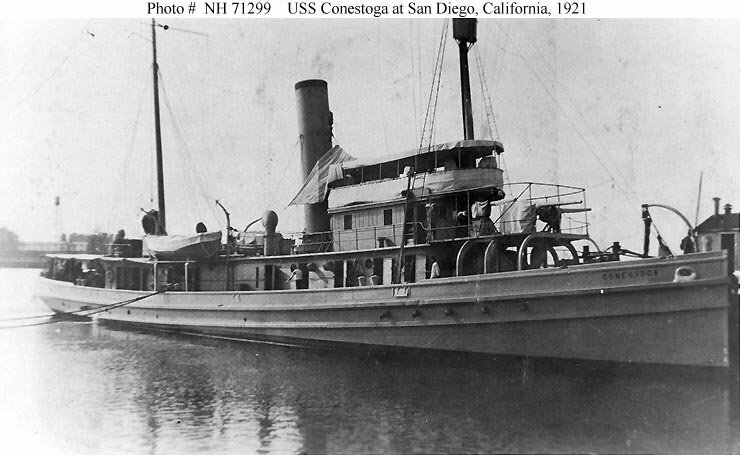 In June 1921, the Navy declared the Conestoga and her crew lost. Note: The top photo shows the USS Conestoga underwater. Above is a photo of the USS Conestoga in port and below is a photo of my old tugboat, the USS Saugus at Holy Loch, Scotland. You can click on the above photos to enalrge.